With the summer sun, proper watering is detrimental to a nice green lawn. Unfortunately, keeping your lawn green costs a nice penny. But, this doesn’t mean that your lawn can’t be beautifully landscaped too. There are a variety of ways to get the most out of your lawn while still saving money and conserving water. 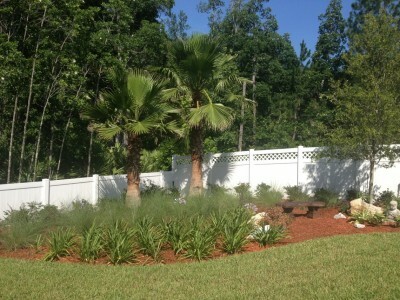 These three tips combined will contribute to a beautiful yard in the summer heat, and a lower water bill. Xeriscape gardens have become very popular in regards to residential landscape design. They are not only beautiful, but they require minimal watering. These plants are able to thrive with minimal water and are extremely low-maintenance additions to your yard. This is all thanks to the fact that these plants retain water more than others, which reduces running or stagnant water. Mulch is a fantastic compliment to any xeriscape garden, but also slows water evaporation after watering. Since mulch retains water, it allows soil and surrounding plants to feed off any water that has been soaked up. Adding mulch to areas surrounding trees, gardens and other plants is a great way to reduce the amount of water needed to keep them alive. Another important factor of conserving water is the amount of watering that you’re doing. While light watering seems like it would save money, it doesn’t do much for your lawn. The best way to take care of your lawn is to continue watering until the water has time to sink to the roots, because if it doesn’t reach the roots then the water is doing no good.